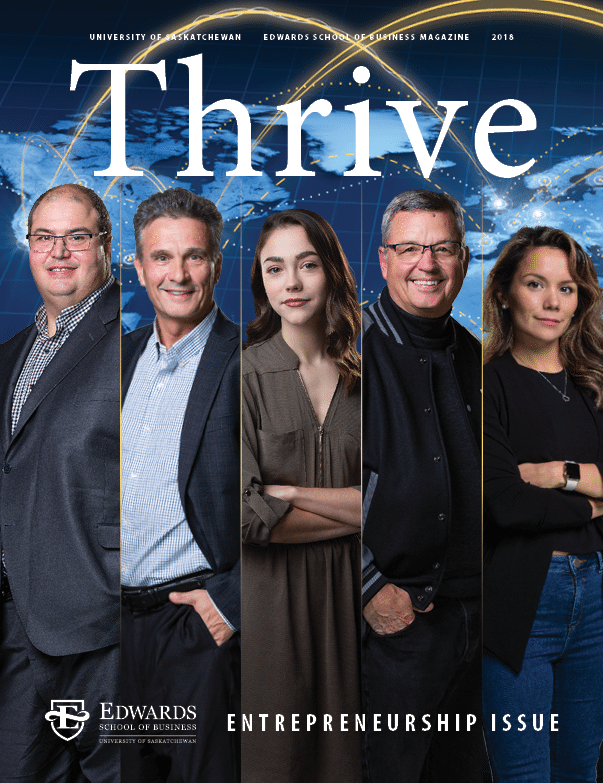 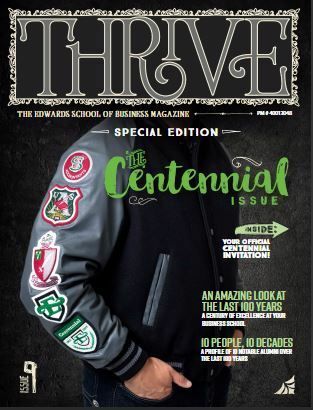 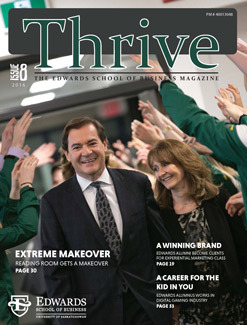 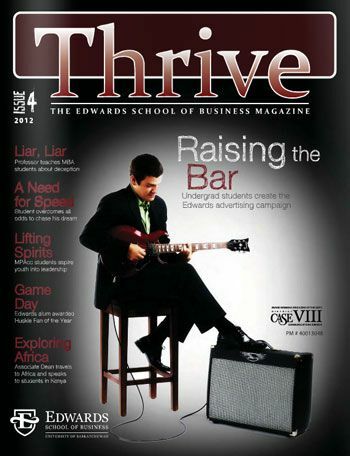 Thrive Magazine is produced annually for students, alumni, faculty, staff, and friends of the Edwards School of Business. 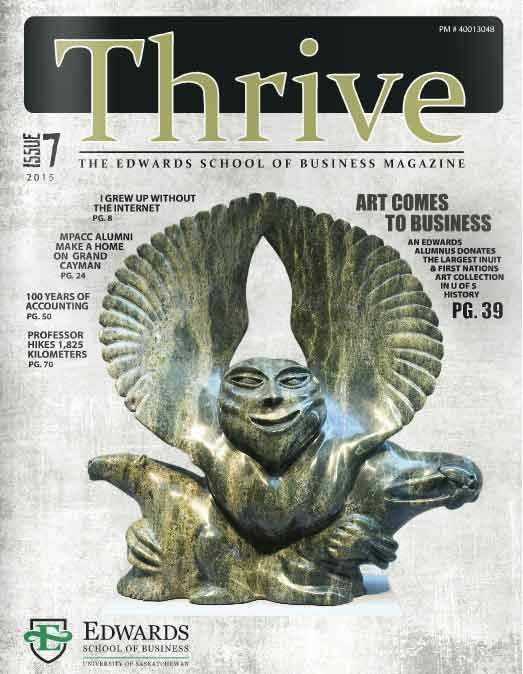 To read issues of Thrive, please click one of the images below. 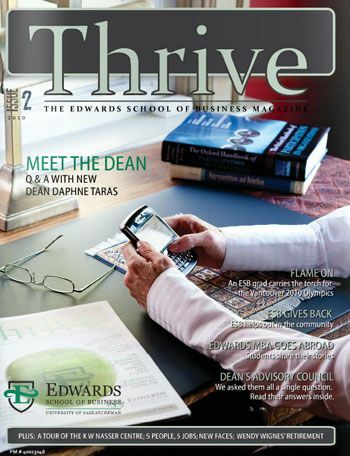 A new window will automatically open. 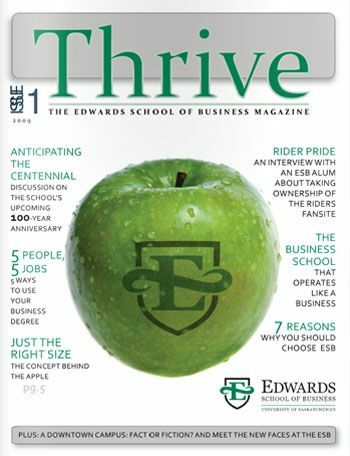 How many members of your family are graduates from Edwards? 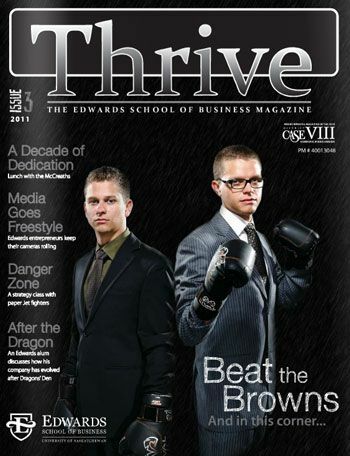 Can your family beat the Browns? 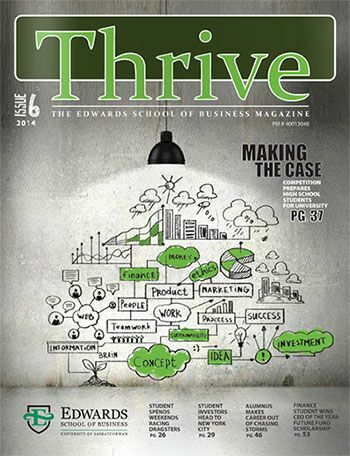 If you have a comment, question, or story idea we want to hear from you! 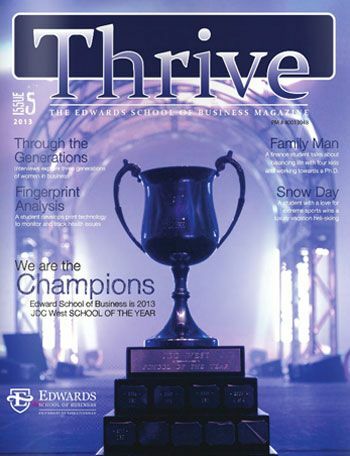 Contact us at alumni@edwards.usask.ca.